Aerial photography of Banksia Grove. Council approved an amendment to the City’s Investment Policy, which provides a framework for how the City’s municipal and trust funds should be invested. When exercising the power of investment, preference is to be given to investments with institutions that have been assessed to have no current record of funding fossil fuels, providing that doing so will secure a rate of return that is at least equal to alternative offered by other institutions. The changes come after environmental charity group 350.org asked the City to consider opportunities to favour investment with banks that do not fund fossil fuel industries. The ultimate aim is to minimise the City’s contribution to greenhouse gas emissions. 350.org volunteer Jeff Wilson met with Mayor Tracey Roberts last year to discuss the issue, and welcomed news of the City’s amended policy. “We are grateful for the leadership of Mayor Tracey Roberts and Council’s response to enshrine in policy a preference to invest with institutions that do not fund fossil fuel industries,” Mr Wilson said. “Of the 29 metropolitan councils, the City of Wanneroo is one of 17 local governments to have taken this significant step,” he said. Mayor Tracey Roberts said she was very pleased that Council had voted unanimously for the policy change. 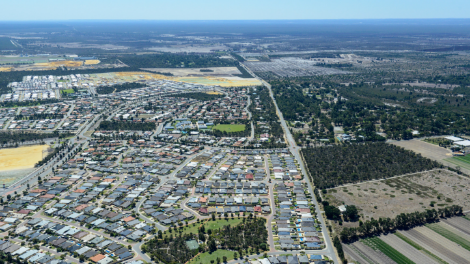 “The City of Wanneroo is committed to protecting the environment by minimising impacts of climate change and seeking alternative ways to improve energy efficiency,” Mayor Roberts said.